Winter blues got you down? 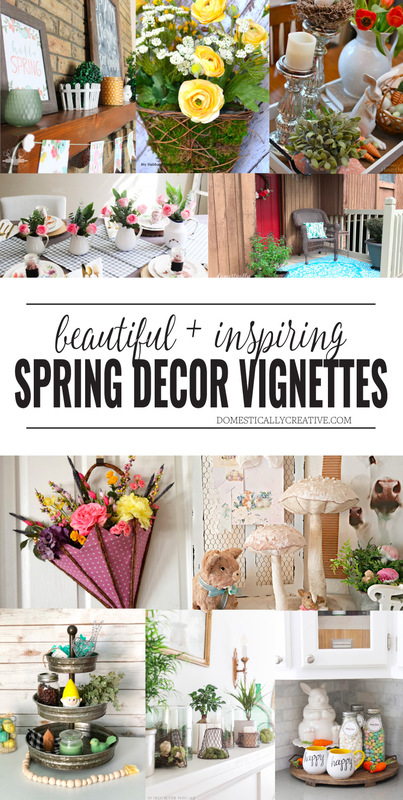 Get in the decorating mood with these 10 beautiful Spring vignettes that are sure to inspire your inner decorator. I am more than ready for Spring weather after this particularly trying Winter! 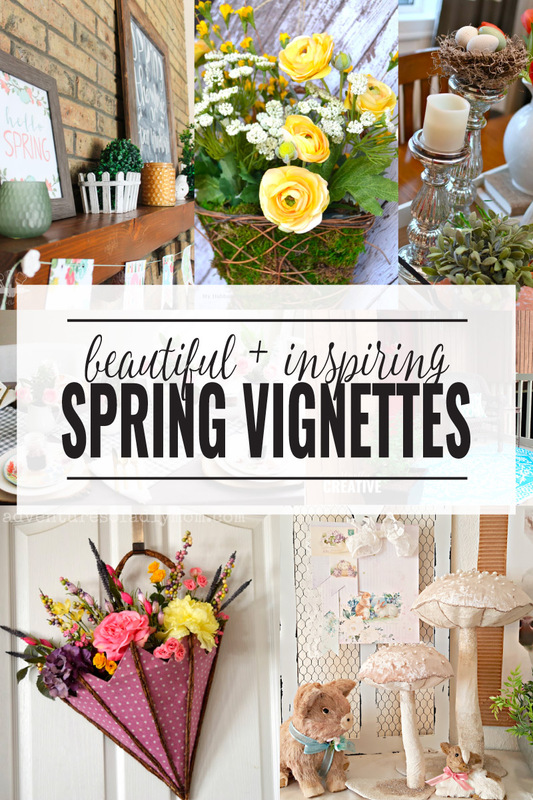 I need a little bit of greenery and bright colors in my home so these beautiful Spring vignettes definitely have me wishing for an early Spring! Crafts & Activities – Easter & Spring crafts, decor, games, and printables. Beautiful features, Amanda. Thank you for hosting each week. We’ll miss Shirley! Hope you’ll come link-up on Tuesdays at Homestyle Gathering each week!